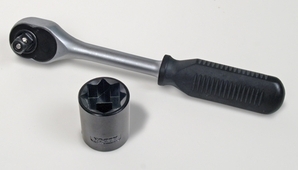 Wrench and Socket Kit for Rail Pull consists of 1/2" sq. dr. ratchet wrench and 1/2" sq. dr by 1" 8-point impact socket.